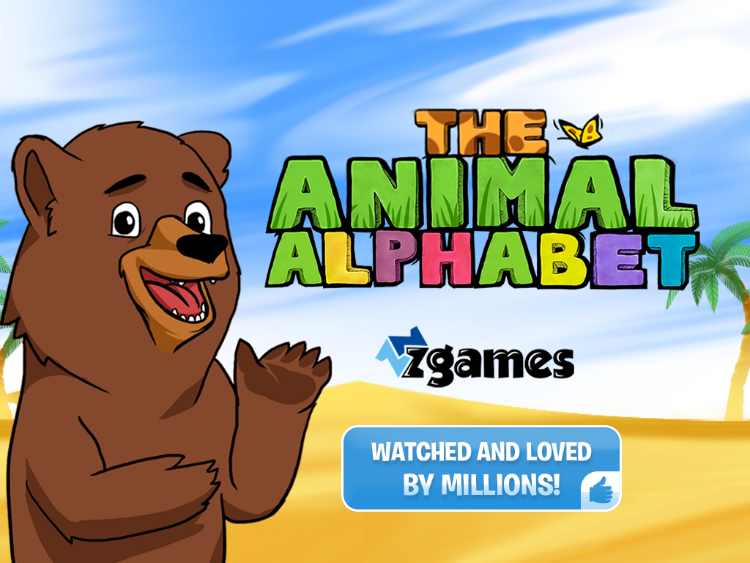 The game introduces children to the alphabet with the use of animation, catchy songs, and live action animal videos from the National Geographic Film Library. Adapted from the beloved television classic watched by millions. 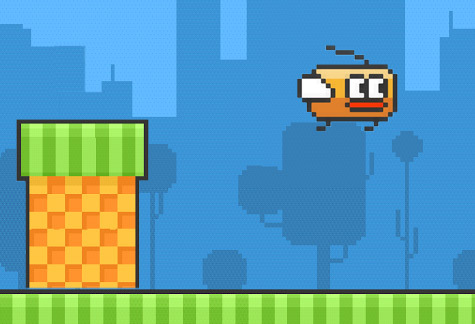 Now available to share with your own children and grandchildren! 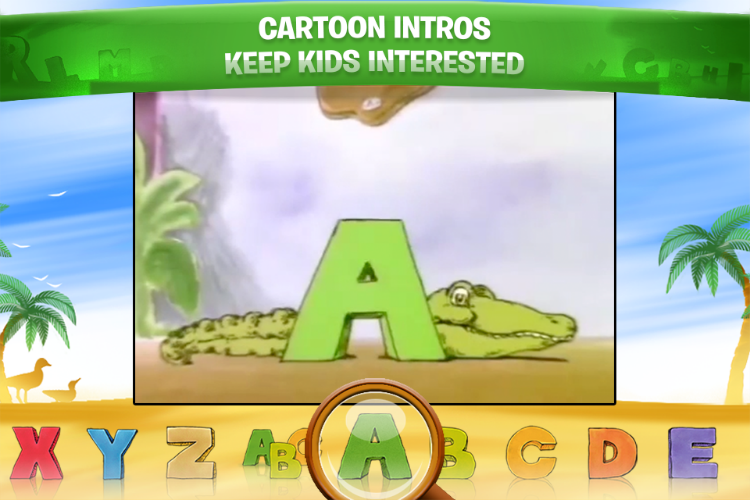 Each letter of the alphabet is delightfully animated and illustrated by a different animal, and accompanied by an original song expressing the rhythm and movement of the animal as well as the letter's sound. You are taken through the animal kingdom with live action video, from Alligator to Zebra, with 30 minutes of video footage! 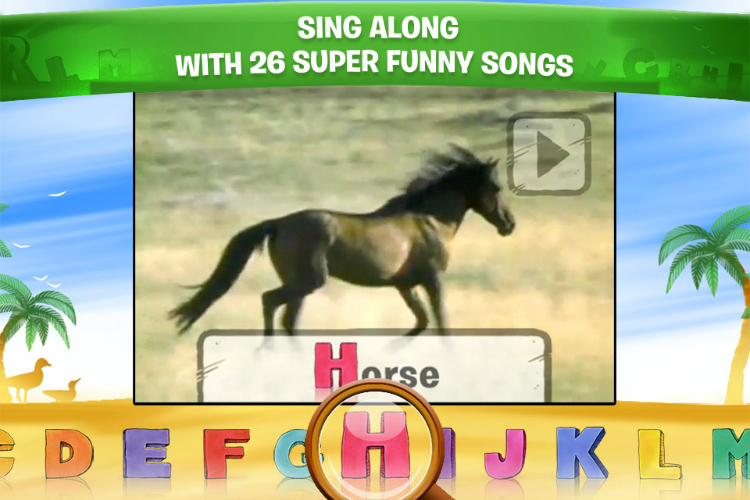 Check out the free sample for The Alphabet Song and letters A, B, and C.